Back in July of 2012 I attended the very first Haven Conference with my best friend Dusty in tow. Within the first 10 minutes of our arrival we got busted by Rhoda (one of the founders of Haven) as we rolled my giant blue cooler–affectionately dubbed Big Blue–into the elevator to our room. 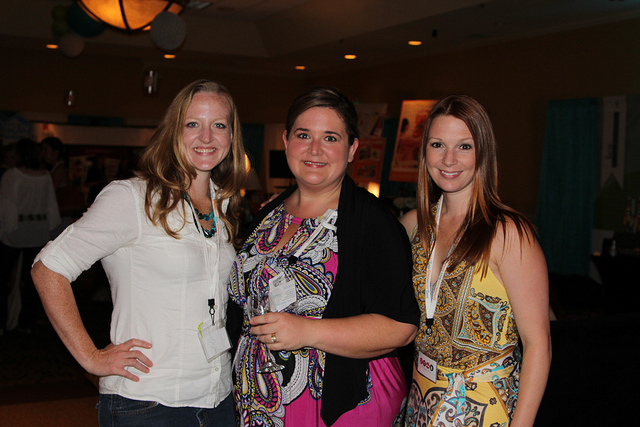 Then we unpacked our stuff, filled our wine glasses and set to work meeting every single blogger that we possibly could meet that year. We laughed, we cried, we sang, we danced to “Get Low” with a 6 month pregnant Katie Bower in the hotel parking lot. I made some life-long friends at that first conference. Each year at Haven I come back home with these stand-out memories—like sobbing my EYES OUT (seriously ugly cry) when I listened to Bob Johnson’s closing speech about working with Habitat for Humanity after the Tuscaloosa tornadoes at Haven 2013. Or hearing a whole room full of women screaming and cheering when they saw me dancing to “Happy” on the big screen in 2014. 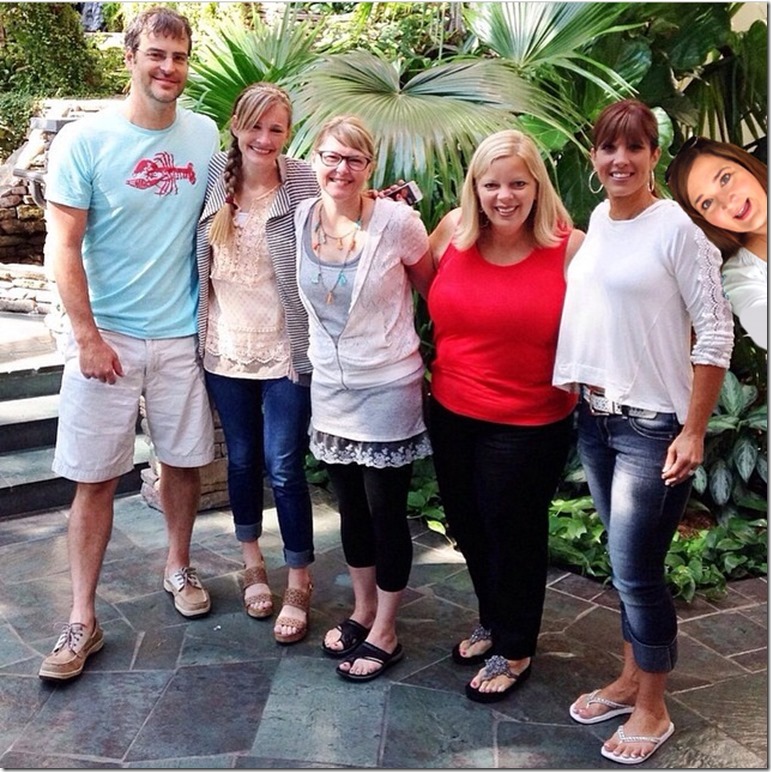 And also that time I came home from Haven without any good pictures to share so I just photoshopped myself into other people’s Instagrams… yeah those were good times. But, no matter what, every single year I fall head over heels in love with the people at this conference, and every year I find new friends to laugh with, to cry with, to dance with, and bond with. With the exception of last year when I was like 63 weeks pregnant with Caroline, I have attended each and every Haven Conference with Dusty and Big Blue by my side since 2012. And each year I come away with new friends, new stories, new contacts with sponsors, and a heart that is BURSTING to BLOG. SO, my hope is that THIS year, I’ll get to add YOU to the long list of friends I have made through my time at the Haven Conference. If so, read on, because I have some fun news! 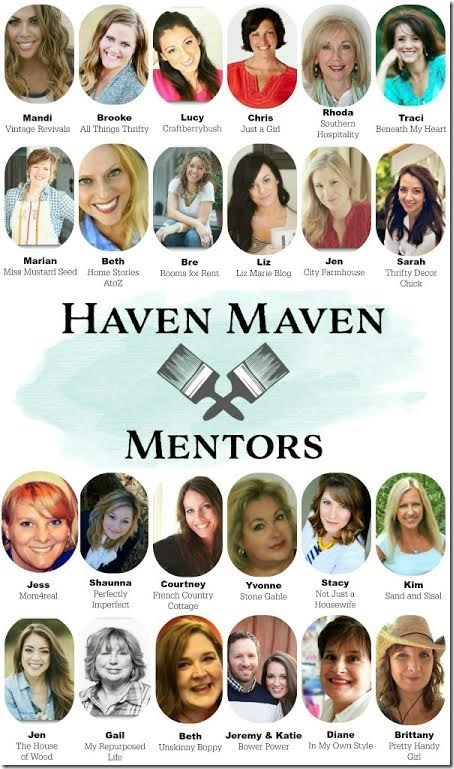 This year, I have the HUGE honor of being one of the Haven Maven Mentors, a group of seasoned bloggers who will be chatting with groups of newer bloggers each day of the conference. When I look at all the incredible women (plus Jeremy Bower lol) who are on this graphic with me, I get SO excited thinking about what a great time it’s going to be. I have spent quality time with 99.9% of these women, and ANY of them will be excellent at helping newer folks navigate this amazing niche of DIY and Home Blogging. It’s going to be so much fun! 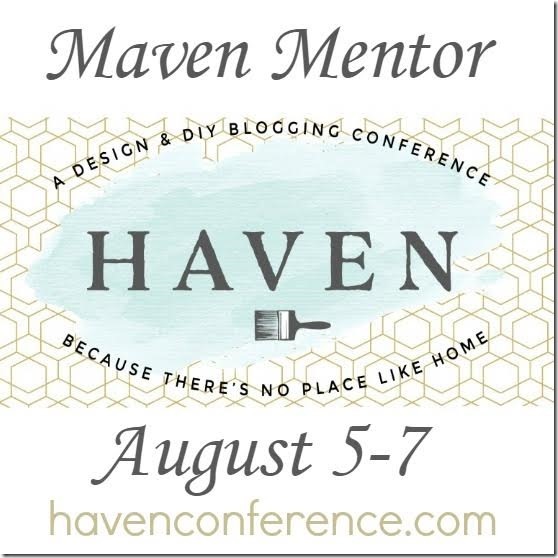 If you are an online influencer in any way related to this niche, I HIGHLY encourage you to attend Haven 2016 and join us for the fun! I will also be teaching a class on how to edit your photos with Lightroom again this year, so if you’re interested in learning about that I hope you’ll come see me in my class. 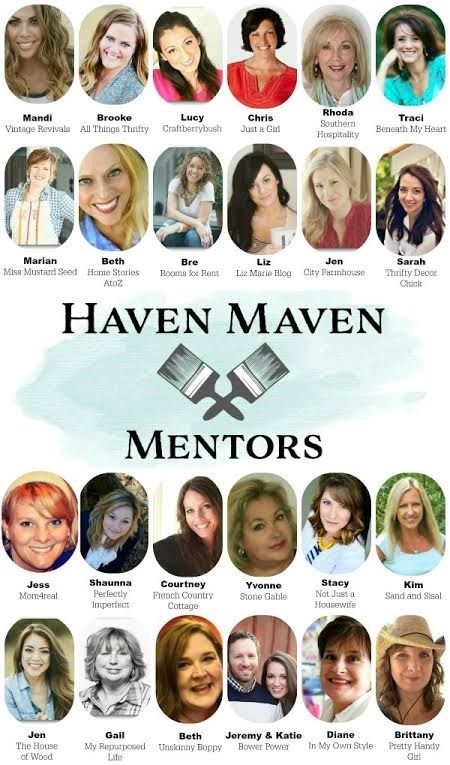 Today I’m a part of the Haven Maven Mentor Blog Hop, so if you’re joining me from Thrifty Decor Chick’s blog I’m waving hello at you! They’ve asked me to answer a few ‘getting to know you’ questions about myself, so let’s do this. I didn’t get serious about blogging until after I attended Haven 2012 and realized like, WHOA, I could do this as a full time job? And get paid actual real money? Then, I went a little crazy in 2013 and tried to run with the big dogs while I was still working my full-time job. I kept up quite nicely until one day my husband had a come-to-Jesus with me about how busy my schedule was. So then I quit that full time job in 2014…and got pregnant like a minute later. Nowadays I coast along at a nice, comfortable pace that doesn’t keep me up until 4:30 am every night (I’m looking at you, 2013.) Maybe one day I’ll ramp it back up again in the creativity department but right now I’m very content with my current blog responsibilities. Oh man. This is like asking me which of my children is my favorite. It’s impossible to choose. How ‘bout I narrow it down to the top three? 1. I loved Garrett’s bathroom makeover at our old house so much. The before and afters of this are pretty amazing when I look back at it now. 2. 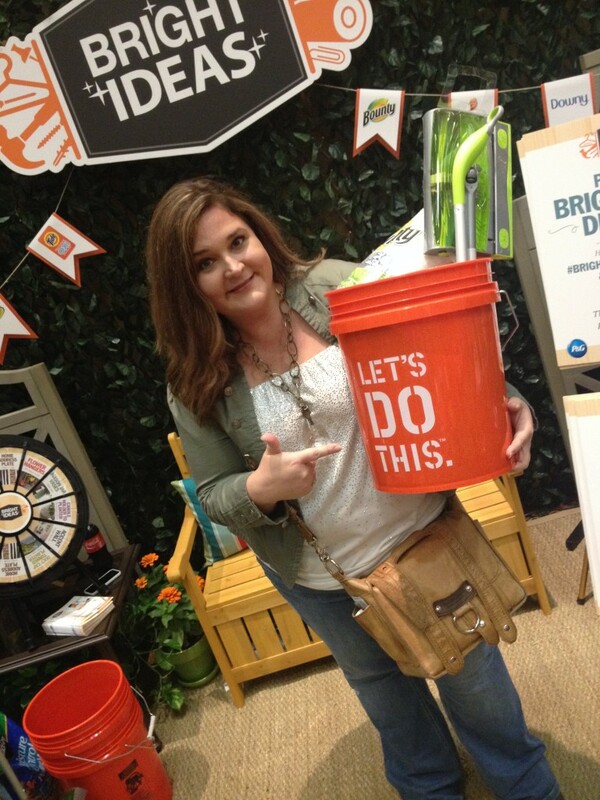 Then there was that time I won a lampshade makeover challenge with an old thrift store sweater. That was pretty cool. And 3. There was the GIANT DIY reclaimed wood star that we made for our Christmas mantel that year. 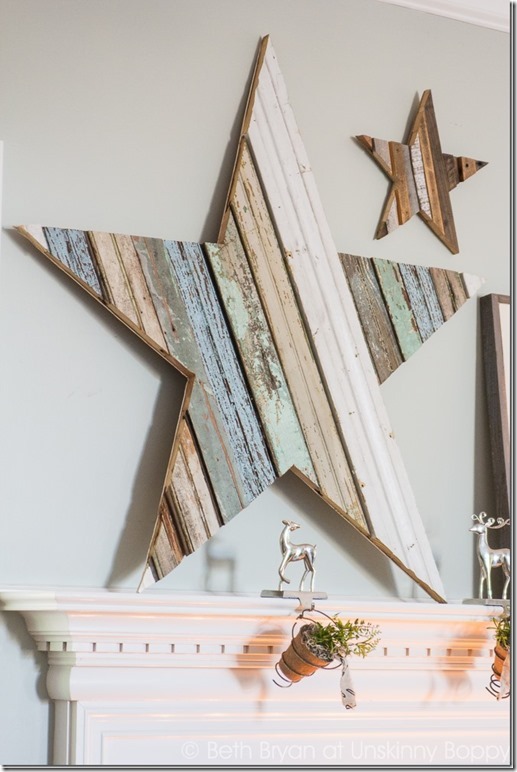 I still love this star. 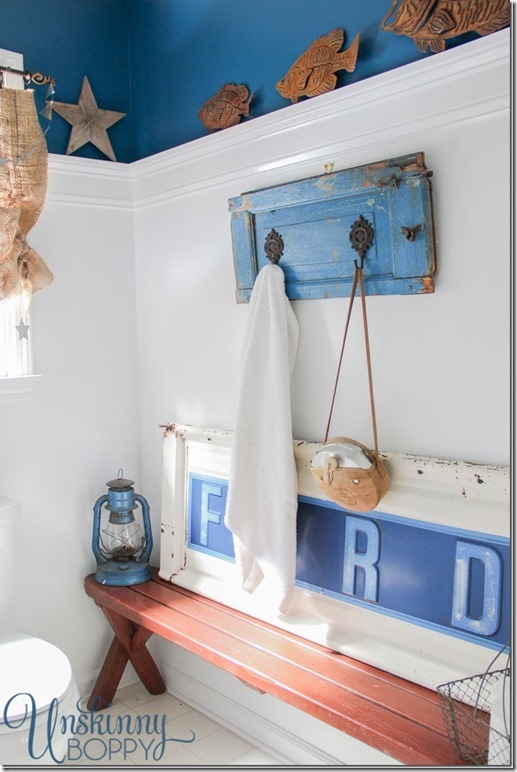 NOTE: All three of these DIY projects occurred in 2013. I’m telling y’all- my creative juices may have peaked that year. I was EN FUEGO back in 2013. 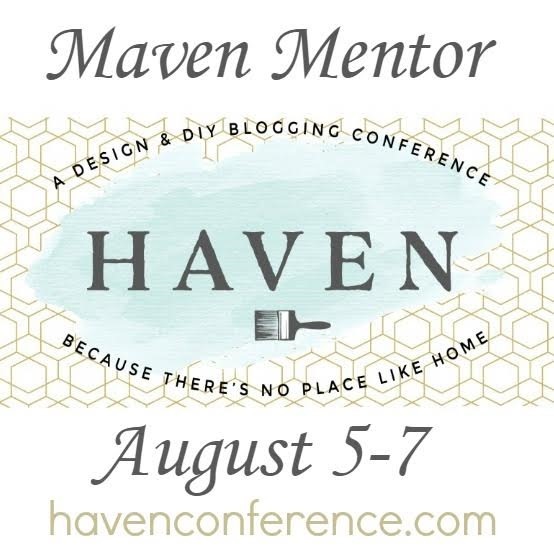 Over the years I’ve learned MANY things from the Haven conference, but the biggest take away is usually this—You need to have a dream, or a goal, or a destination in mind for your blog. Everyone else has dreams, but your dreams are unique just to you. Some bloggers are aiming for the stars and planning on being rich and famous, while others are blogging for the fun of it and are perfectly content to keep it their hobby. Both of those goals perfectly OK and they are both attainable in this industry. 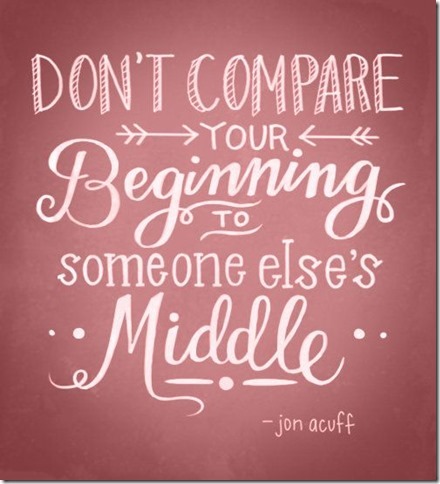 Just don’t get sucked into the comparison games because they will steal your joy. 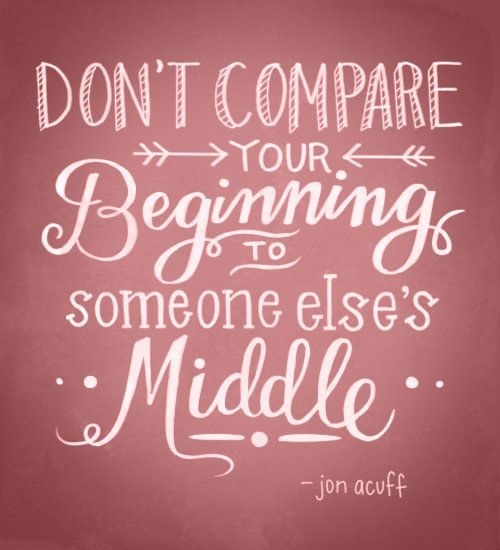 You’ve probably seen this quote before, and it’s SO true. Just do you and don’t worry about what everyone else is doing. You mean besides apologizing in advance to your liver? Bring your Frizz-Ease and your flat iron because ATL humidity in the summer ain’t playing around. Go shopping. 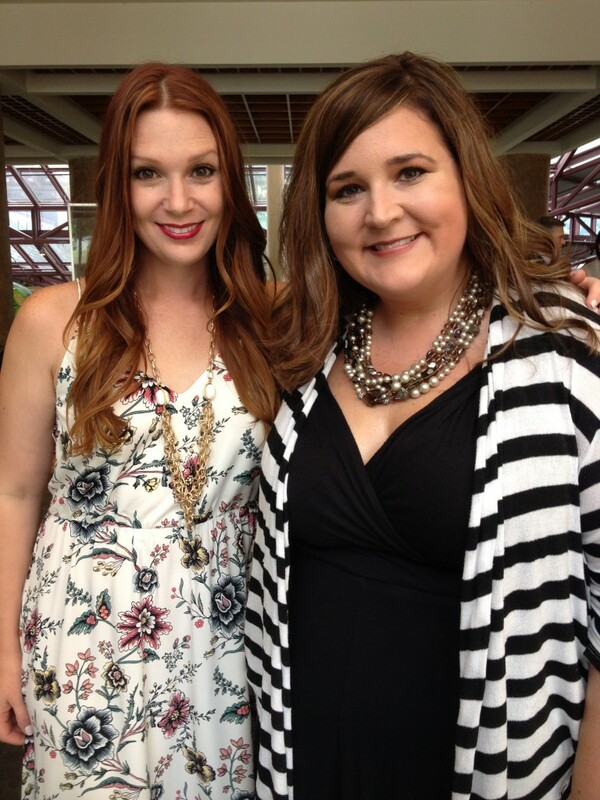 These blogger girls are decked OUT for this conference so be prepared. Know your sociable limits. If you’re an introvert you’re gonna need to take some breaks, recharge in your room, then head back out for more fun when you’re ready. I consider myself an extrovert but this conference seriously wears me OUT. Find your tribe and enjoy them, but don’t be afraid to reach out and meet new folks too. You might be surprised what all you have in common with folks outside of your posse. So, if you decide to attend Haven and discover that I am your mentor, look for the Unskinny girl with the Big Blue cooler sitting by the pool each night. That will be me. I am an open book. Ask me anything. Can’t wait to see y’all in Atlanta in August! 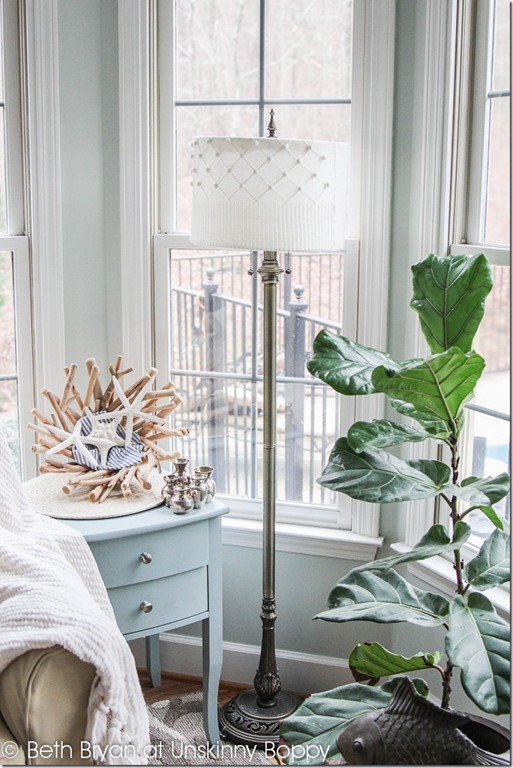 Now you need to jump over and visit my talented friend Lucy at Craftberry Bush, who is just as beautiful on the inside as she is on the outside. Click here to continue the blog hop! Oh my goodness YES! We need to get her back to blogging! I love that girl. We met in the wine line that first year and became insta-friends! If I ever make any money with this blog that is the first place I’m going! It truly is a dream. I absolutely loved when you photoshopped yourself into those photos. So very excited to be attending for the first time and be surrounded by people who “get me”. YAY!